I quickly wanted to share a project I've been working on, It's for my class "Distributed Systems" at university. 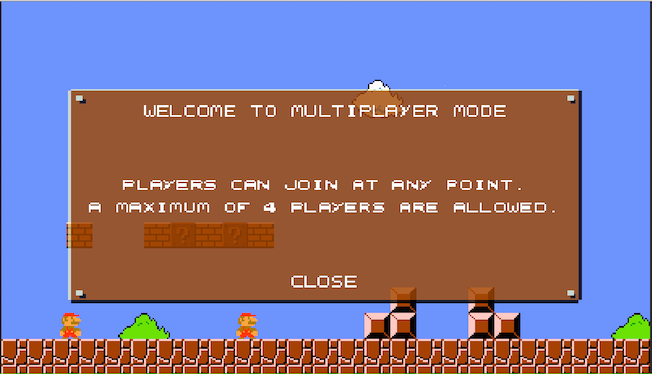 My lecturer was kind enough to give me some creative freedom, so I decided to build an experimental multiplayer demo of Super Mario Bros using HTML5 technologies. It uses a Peer to Peer architecture leveraging WebRTC with the help from the excellent Peer.js.